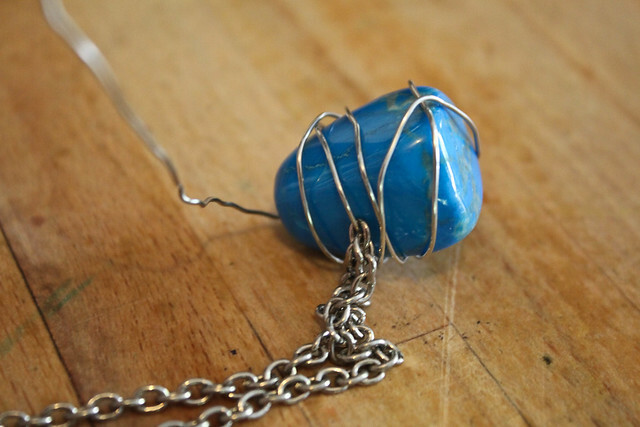 You need some beading wire, any sized stone & a long chain. 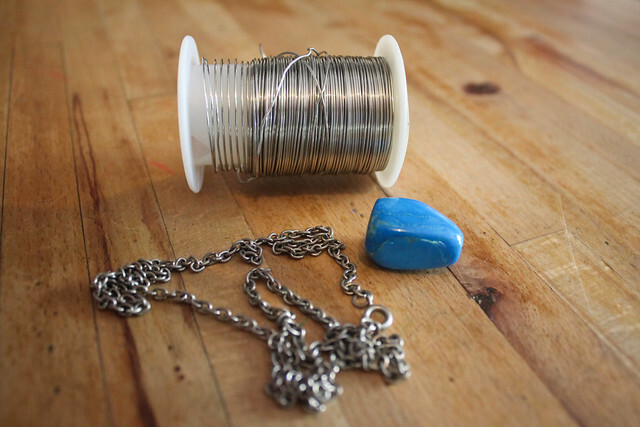 Estimate how much wire you'll need (cut it longer if in doubt). Thread it through a middle loop of the chain. 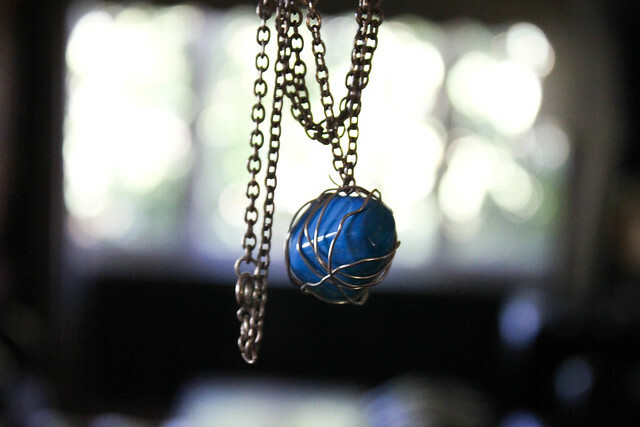 Next, wrap the wire around the bead as tight as possible in every direction until it looks how you want it. 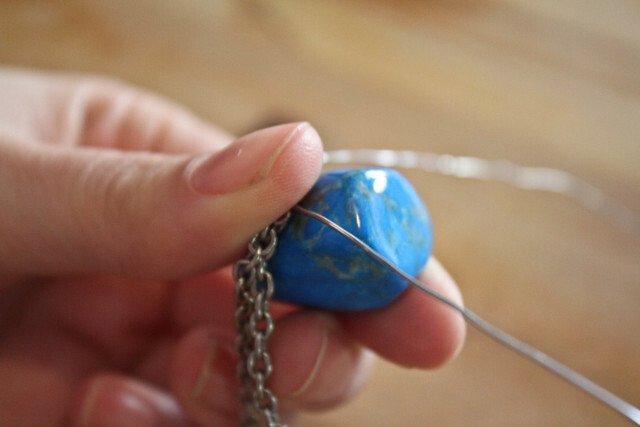 Try to tuck in the ends & cut the wire in an inconspicuous spot (i.e. not in the middle-front of the bead). 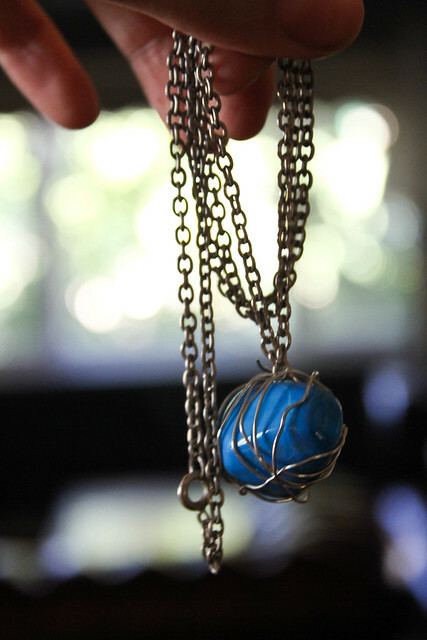 The beauty of this DIY necklace is that none of it is stuck together. One day if when I think of a far better use for the stone, I can easily take it all apart. 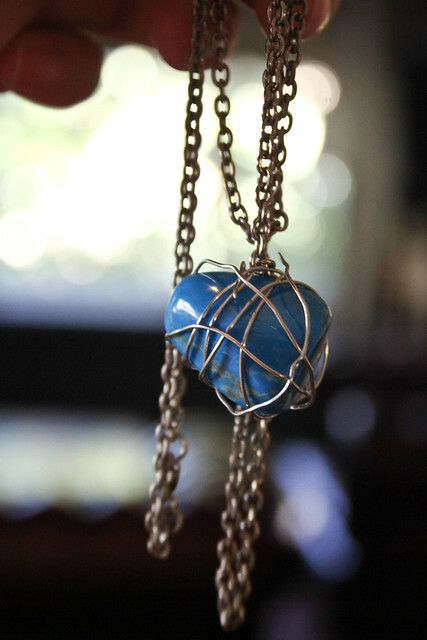 The trouble with me & crafty projects is that I get so hell-bent on doing the project RIGHT! NOW! & photos generally are snapped haphazardly throughout. Hence all the blurr-tastic photos. PS: Fancy that! The stone happens to be our COTM... cah-raaaazehhh.